Vikram Vedha gets selected at the Tokyo International Film Festival 2017. 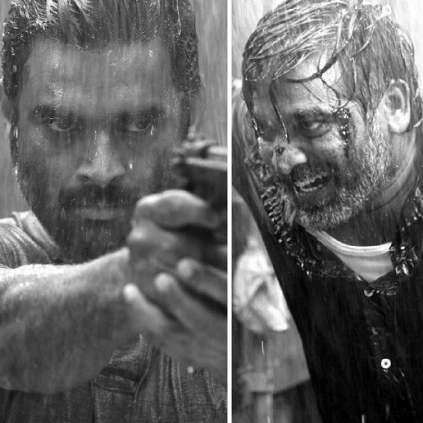 Actors Vijay Sethupathi and Madhavan’s Vikram Vedha directed by Pushkar-Gayathri had received both critical acclaim and commercial success upon release. The film which won rave reviews has won the love of audiences. Vijay Sethupathi's Karuppan press meet happened yesterday (25th September), and the whole team of Karuppan, including director Paneerselvam, heroine Tanya, and producer A.M.Rathnam were present. During the press meet, Vijay Sethupathi was asked, if he would accept a National award, for Karuppan (if the film gets nominated), for its regional flavour, dealing with our culture and tradition. Makkal Selvan replied, "It is a very advanced question to answer now, but I can tell it without any doubts or second thoughts. I wouldn't accept the National award. My people and my state are important for me, first of all. I won't do that. We are being squeezed by the Central Government. I am already highly worried that our language Tamil has been removed from the train tickets. It angers me so much. I feel we should concentrate more on the action, than emotions." WOW! Nayanthara meets Priyanka Chopra. Exclusive photos here!! Unbelievable: Avatar begins today! You will be shocked to know the budget! The first Tamil film to be screened in Sathyam's DND show is here! India's Oscar entry Newton faces Plagiarism issues! Clarification here. Vijay Sethupathi And Gautham Karthik’s Oru Nalla Naal Paathu Solren First Look To Be Released Tomorrow (September 23, 2017). Kavya Madhavan Does Not Need An Anticipatory Bail And Her Case Is Closed. Vijay Sethupathi's Sister On "Makkal Selvi Shilpa - SEMMA! I Was Amazed After Seeing Anna! People looking for online information on Madhavan, Vijay Sethupathi, Vikram Vedha will find this news story useful.